Hi everyone I have a special treat for you today. I know you have heard the saying "Christmas in July", but in my case it's Christmas in June!!!! Yes it's that time again where I bring you another tasty "Gooseberry Patch Early Bird Review". Well in my case not so early bird. I have been a bit under the weather since returning from trip so this post has gone up much later than planned. I apologize in advance. This ends up being a great thing for you because now you do not have to wait to get your hands on a copy of Quick & Easy Christmas. You can purchase this wonderful cookbook way before the holiday season. I have to say I thought it would be really hard to get into the Christmas Spirit in the dead of summer, but I was wrong. Quick and Easy Christmas brought me back to one of my favorite holiday seasons. I got a big jump on choosing a few festive ideas for gift giving and yummy ideas for my holiday cookie trays. It's always so hard to choose what items I will be baking up so this book really helped. I added a list inside my cookbook so I will be recipe ready when Christmas time rolls around. Let's jump right into things and get to a few recipes. 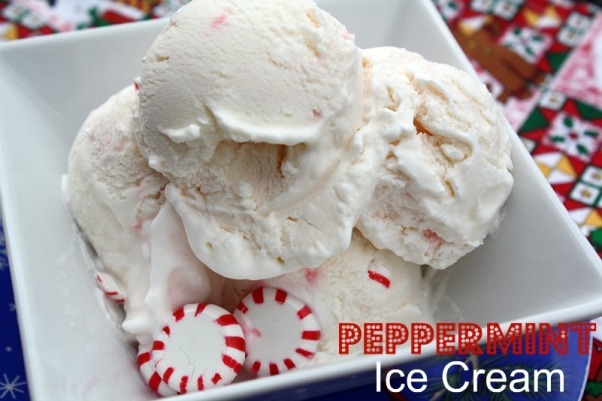 I chose Homemade Peppermint Ice Cream from page 182 as my first recipe to try. Seeing that we are in the heat of summer here in Texas I thought some festive ice cream would hit the spot. This recipe was really easy to make and perfect for a small ice cream maker since the recipe makes 1 1/2 quarts. 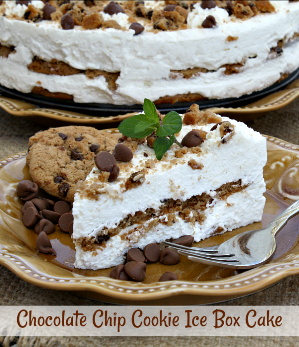 I have a 4 quart ice cream maker so this recipe doubles easily. This peppermint ice cream tasted just like the ice cream you get at Braums or Baskin Robbins, SO THUMBS UP!!! WE LOVED THIS ONE! Since it was summer I could not find candy canes, so we used Starlight peppermints instead. During the Christmas season I am known for making lots of holiday treats. Homemade gifts are my favorite to share with family, friends and my kids teachers. I always start early and freeze most it so I have plenty to go around. When I was thumbing through Quick & Easy Christmas I was paying special attention to quick treats to add to my cookie and candy list. Every year I have my favorites, but I love tossing in a new treat from time to time. These cute little Texas Tumbleweeds from page 180 immediately caught my eye. One because I thought the name alone was eye catching. And two because I am huge butterscotch fan, so anything using butterscotch chips is right up my alley. I usually use pretzels in several of my candy recipes, but this recipe used an interesting treat, potato sticks. It also called for pecan pieces, but since my nutty kids dislike nuts I kept them pretty big and used pecan halves so they could pull them off, but everyone else could still enjoy them. I loved the sweet and saltiness of this candy and the potato sticks added a nice crunch. These sweet little treats would make a nice Texas themed gesture to send to a loved one. I think the name was very fitting for this candy. The third and final recipe I chose was titled Fastest Cheesecake aka No Bake Cheesecake from page 157. 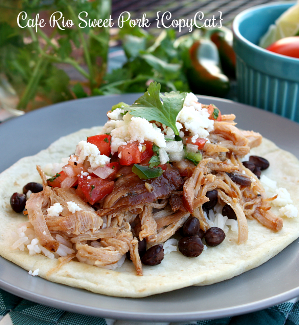 Over Memorial Day weekend fast is what I needed, so I turned to this recipe as a time saver. I needed one extra dessert to complete my memorial day festivities. Something yummy, but something that I did not have to spend a lot of time and ingredients on. This recipe was perfect. While mixing up the cheesecake ingredients I was a bit skeptical. You see this was a no bake cheesecake that stated it took 15 minutes to mix up and only one hour to chill. Hmm I thought that was pretty quick by the consistency of the cheesecake I thought for sure it would take overnight to set up. Well I was wrong.!!! For me this cheesecake took 3 hours of chilling time to set up, but by far still quick and easy in my book. Since I was making all the desserts in the morning this wasn't a big a problem for me. I have to tell you everyone was quite impressed with the taste of this cheesecake. It really tasted like I spent all day on this recipe. 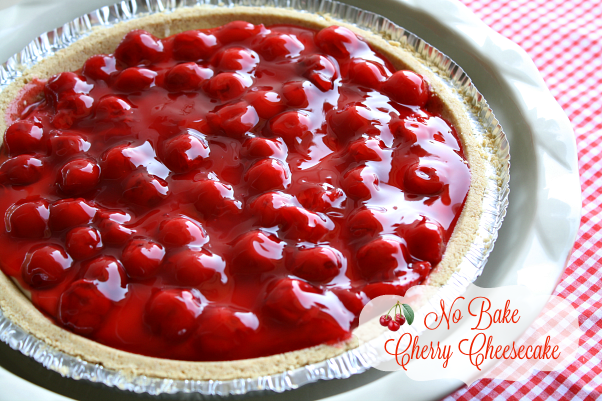 This cheesecake earned it's place in the Quick & Easy Christmas Cookbook. I can't wait to start cooking up all those yummy dishes. What I love about this cookbook is that most of these recipes can be prepared in just 30 minutes! And here's another perk most of the recipes require 8 ingredients or less. Now that's what I'm talking about. My thoughts have always been less time in the kitchen during the holiday season is more time for me to spend with family and friends. Isn't that what it's all about? I also wanted to let you know that Gooseberry Patch has been kind enough to send me an additional copy to share with one of my readers. Thank you Gooseberry Patch. If you can't wait to get your hands on a copy of Quick & Easy Christmas you don't have to. Right now Amazon Books has it for $11.53 and $9.99 for their Kindle Edition. While you're there purchase an extra copy because this will make a great Christmas gift for anyone who loves to cook. Just leave a comment on this post letting me know what Christmas Recipe puts you in the holiday spirit? (mandatory entry) For me it's baking a batch of my favorite Holiday Eggnog Bread. 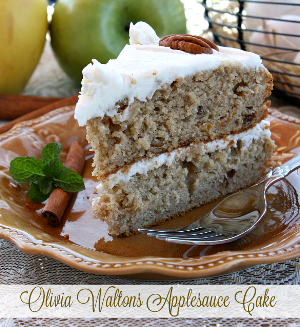 It just isn't Christmas until make this yummy treat. 3. 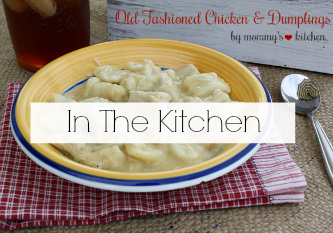 Become a New Fan of Mommy's Kitchen on Face book. Last day to enter this giveaway will be Wednesday June 15th at midnight (CST). I will pick a random winner using random.org and announce the winner on this blog, face book and twitter. Good Luck to everyone. Contest open to U.S & Canadian Residents only due to shipping charges. Place the butterscotch chips, vanilla bark and peanut butter in a microwave safe bowl. Microwave on defrost in 3 minute intervals until everything is melted and smooth. Add the shoestring potato sticks and mix until well coated. Stir in pecans and drop by teaspoons onto waxed paper. Refrigerate until candies are hard. makes about 3-4 dozen candies. 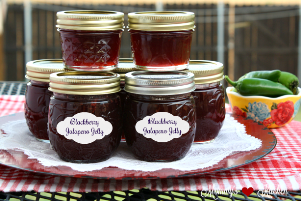 1 - can pie filling of your choice or strawberry or raspberry preserves. In a medium bowl beat cream cheese with an electric mixer until smooth and fluffy. Gradually add half of the condensed milk, beating constantly. When half of the milk has been added, beat in the lemon juice until smooth. Beat in remaining condensed milk. Beat in remaining condensed milk until smooth. 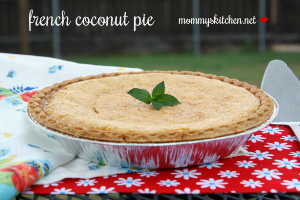 Pour into crust and cover add pie filling and chill for at least one - three hours. Makes 8-10 servings. 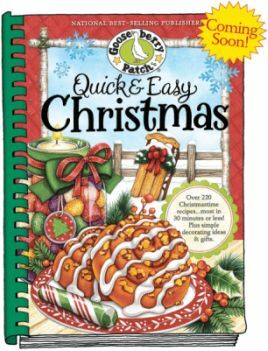 Disclosure: Gooseberry Patch provided me with a copy of "Quick & Easy Christmas" for the purpose of this review. They also provided me with an additional copy to use in a reader giveaway. With that being said the opinions & comments stated above are entirely my own. 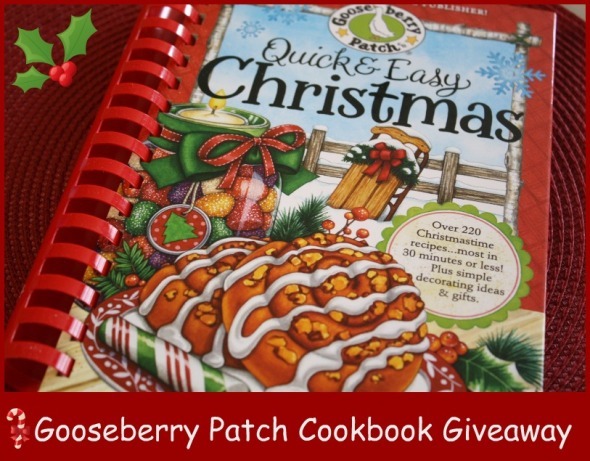 I would like to thank Gooseberry Patch for choosing Mommy's Kitchen as a "Early Bird Reviewer" and for sponsoring this giveaway. It isn't Christmas until we make our peanut butter balls. We make them every year and are highly in demand around here. I use a recipe for classic butter cookies (instead of sugar cookies) that you roll out & use cookie cutters with. Especially now, with having 2 small kids, it just wouldn't be Christmas without making & decorating those cookies with my kids! They are so yummy! I've been a FB fan of Gooseberry Patch for a while now. 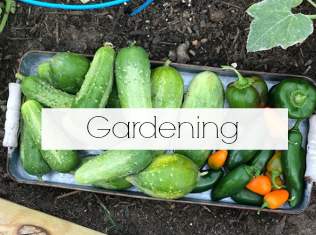 I am now a fan of Gooseberry Patch on FB. I'm a GB fan all the way around!! And gingerbread just spells Christmas time! Please enter me! Just liked you on FB...found your blog a couple of days ago and am now following it...love the giveaway...thanks...keep up the good posting! I like making my M&M Oatmeal Bars in a Jar as gifts that always puts me in the festive mood. We wait all year for the family Christmas fudge-creamy and yummy! Another new favorite is Egg Nog Cookies. My favorite way to kick off the holidays is to make soft sugar cookies with butter cream frosting. Liked Mommy's Kitchen on FB too! I love Gooseberry Patch and cooking! Christmas isn't Christmas until I bake my Memaw's Ice box cookies. There is just something about them that makes Christmas goodies perfect! Christmas cut-out cookies is my all time favorite must have for Christmas. I love to make them with my kids and it makes for great family time and put in a good Christmas movie and have some fresh out of the oven santa cut-outs and some milk and snuggle with the kiddos... ahhhhh good times! I'm a huge Gooseberry Patch fan and a faithful follower of Mommy's Kitchen. Nothing says Christmas like my mom's Chocolate Crinkles. When I start making Special K cookies, I know Christmas is near! My fave food at the holidays is stuffed dates. 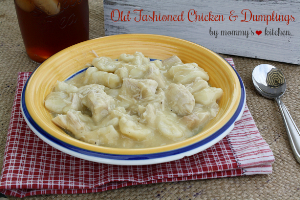 My grandma always made them for the big dinners and now I do the same. I have a story in Christmas In the Country on page 205. I love Christmas and baking for the holidays.The one recipe would be homemade fudge. It's just not Christmas time unless I have had several pans,did I say pans,I mean pieces of fudge!!!!! I joined Gooseberry Patch Circle of Friends. I follow Gooseberry ciecle of friends. I love making spicy chex mix - TEXAS TRASH! Grandma's special sugar cookies are my christmas favorite.No one makes them like her. Good ole southern Pralines puts me in the Christmas cooking mood !!! Homemade raisin bread and pumpkin chocolate chip cookies start off the holidays at our house! I also joined Gooseberry Patch's circle of friends! How exciting! thank you for all your good hints and recipes. Making cut-out cookies with my daughter! Making sugar cookies with my Grandmother's recipe always puts me in the Christmas mood. I'm already a fan of Gooseberry Patch on FB. I just became a fan of Mommy's Kitchen on FB. Making sugar cookies to decorate with my kids! I'm a Gooseberry FB fan. I'm in the Gooseberry Circle of Friends. It isn't Christmas without homemade fudge...mmmm...my favorite! I'm in the circle of friends! Chocolate Covered Pretzels and my Granny's chocolate fudge gets me in the holiday spirit! I have so many recipes/foods that remind me of Christmas but the one that really makes it Christmas for me is my aunt's Christmas Cranberry Punch on Christmas Eve....LOVE IT. 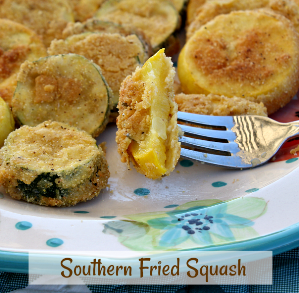 Thank you for this chance to win a GBP cookbook... my absolute favorite!! The recipe that most puts me in the Christmas spirit is my mom's Frosted Sugar Cookies... yummy!! 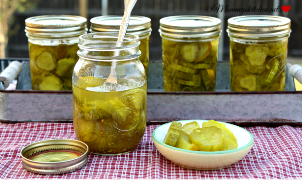 I am a fan of GBP on facebook... love their cookbooks so much!! I am a member of GBP's Circle of Friends!! Tweeted about your GBP cookbook contest... thank you!! The recipes that get me in the Christmas spirit are Peanut Brittle and Pecan Tassies (mini pecan pies). I am a fan of GP on Face book and I joined the circle of friends. It isn't Christmas at our house until my four children and I make home made fudge, reindeer chow, and christmas cookies to give away!!!! They enjoy it as much as I do!! Love your site! Thanks for the give aways. We are already FB friends but I mentioned the giveaway on my page! The recipe that puts me in the Christmas Spirit would be my Frosted Sour Cream Sugar Cookies, make tons of them. They are so good. For the Holiday favorite it would have to be pumpkin sheet cake...yummy! I've been a fan of Mommy's Kitchen for a long time now. Does that count? But Tollhouse Chocolate Chip cookies comes in second. It would have to be baking cookies and using some of my Grandma's recipes. I have young grandchildren and it is wonderful to see the magic of Christmas through their eyes. I think of fudge at Christmas time, especially my mom's peanut butter fudge. Thanks for your preview. What gets me into the holiday spirit is pumpkin pie on Thanksgiving, then baking gingerbread men and cranberry upside down cake. Mentioned give away on FB page. Christmas for me is my Mom's homemade fruitcakes. She has several different cakes she makes and all are equally good. And last but not least when my Mom and I get together and make our Christmas cookies. Homemade Biscotti, Chocolate covered pretzels, oatmeal cookies are just a few of the cookies we make. I love the Gooseberry Cookbooks, they are fun to read and informative. Good luck to everyone. We don't have any holiday traditions of our own yet as we are the ones that usually do the traveling. The only thing that really says holidays right now that I make is a Pumpkin Roll, yum! I love to bake at Christmas time. Love my sugar cookie recipe. I am a Gooseberry Patch fam. I have joined the Circle of Friends On facebook. Hi Tina, thanks for the opportunity to win this great cookbook...I've been a fan of GBP on FB for quite some time now! Just ordered my very first cookbook of theirs, and would love to win another! I am a GBP fan on facebook and in the Circle of Friends. My favorite recipe for Christmas are the Italian Pizzelles my mom made and I have made them every year since I have been married (37 yrs.) They are a family tradition in our house. Spritz Cookies always put me in a Christmas mood. My mother made these every year. I can hardly wait to read a copy of the book. 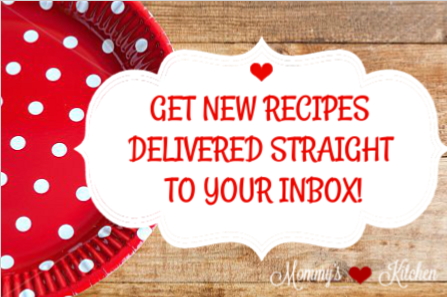 You always have so many great recipes. English Toffee is the yummy treat our family likes that helps to bring about the Christmas Spirit...Thanks for the yummy recipes. My family can't celebrate Christmas without peanut butter balls. Oh my! I'm already a fan of GBP at FB. Sugar cookies put me in the mood for Christmas! Definitely spritz cookies - they scream Christmas as we only make them once a year - really should make them more often as they are so good! Ok, this may be crazy but...homemade chex mix and chocolate fudge. I guess it reminds me of Christmas because Christmas is the only time I make it. I like making Rock Candy. Uses many colors and flavorings. 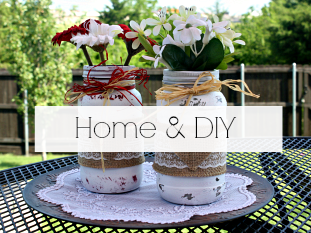 Break into small pieces, place in Mason Jars and tie with a bright ribbon. Great foer drop in guests. I love making Almond Roca Cookies,that really gives the the Christmas spirit. Fudge is my favorite treat to make at Christmas time. Not just any fudge but the OLD recipe from the Marshmallow Cream jar! Joined the Circle of Friends. Posted link to this giveaway on my FB page. The recipe that puts me in the Christmas spirit is Peanut Butter Blossom cookies :) They are a Christmastime favorite here! My favorite recipes that put me in the christmas spirit are anything with cinnamon and also creamy chocolately fudge with red and green m&m's! I am in Gooseberry Patch's Circle of Friends. Our Christmas treats always include iced sugar cookies! Love the gooseberry patch books and am a fan on FB. My great, great, great Aunt Katie's cutout sugar cookies, with icing and colored sugar. Fudge, Fudge, Fudge! That's because my great Uncle made the best fudge every Christmas! I always love homemade fudge during the holidays! I joined "Circle of Friends"
Start the Christmas season with my Mom's nut caramels. Diet Coke and caramels Mmmm so good. Starting to bake the traditional Christmas cookies and candies put me in the mood, but the only time I make Indian cookies is at Christmas! Yummy...they go great with a cup of coffee. I like to make fudge! The recipe that put me in the holiday spirit is gingerbread cookies. I love baking cookies, but during Christmas, gingerbread cookies are my favorite go-to-recipe. I'm fan of Gooseberry Patch on Facebook. I joined Gooseberry Patch "Circle of Friends"
There are so many, it's hard to name just one recipe but I guess when my four sons and I start decorating Christmas cookies. They eat them as fast as we decorate them but it's so much fun. Crab dip. My grandma always makes a double batch of her crab dip and we eat it with crackers all of December. I love it and beg for it every Christmas season! My kids out for break, cold weather, and baking sugar cookies together is what gets me in the Christmas spirit. So many things I make put me in the Christmas spirit, but nothing other than my traditional white chip orange ginger cookies & a glass of egg nog! I am part of Gooseberry Patch's Circle of Friends! I shared this link & commented about this on my Facebook page! I look forward to the peppermint ice cream! It's always a favorite. Especially when paired with warm brownies right out of the oven. The recipe that puts me in the holiday mood is Peanut Butter balls. We always made/make these at Christmas time. They are a must have and really put me in the mood fo the holidays. I have been a member of Gooseberry Patch's Circle of Friends for a while now. I just became a fan of Mommy's Kitchen on Facebook! I mentioned this giveaway on my Facebook wall. I made sure to tag Mommy's Kitchen. I am also now a Google follower for the blog. Thanks for this great giveaway. The recipe that puts me in the Christmas spirit is everyone's favorite festive fruity coconut macaroons. I make one batch with cherry jello and one batch with lime jello for the pretty Christmas colors. They freeze well and make a pretty accent on your holiday treat platters. I love the recipe for the Texas Tumbleweeds. I'm wondering if they could be made with chow mein noodles as well. 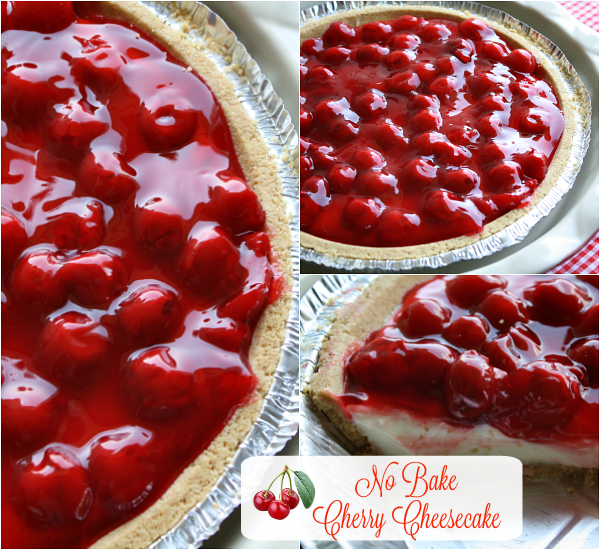 The no-bake cheesecake has been one of my stand-bys for years now..I have promised my Husband to try blueberry pie filling on the top one of these times..it's his favorite. You're right about the time it takes getting it to set up..I have found placing it in the freezer for an hour or so helps. My husband loves it super-cold and "frosty"..doesn't hurt the consistancy either. I'm "liking" you on Facebook. Gingerbread cookies! Sometimes I make it other times of the year just to bring back that warm, Christmasy feeling. And I'm already a fan of Gooseberry Patch on Facebook and just subscribed to your RSS feed with my Google Reader. I just liked you on Facebook, too. Looking forward to reading your blog. I love the recipes you post and try alot of them , I trust that if it's on your site my family of six will eat it! I'm posting today to tell you what recipes signal christmas at our house. It would have to be our famous old fashioned peanut butter balls, no rice krispies here, we gasp when we see such silliness! these delicious treats have red and green cherries, coconut and nuts if you dare. Couldn't be more festive than that! And of course my shortbread cookies that have to have a little piece of red or green cherry on top the icing... oh ! my mouth is watering just thinking about it. I just liked Mommy's Kitchen on Facebook... Cinnamon.. anything with cinnamon in it gets me in the Christmas spirit!! The recipe that puts me in the Holiday Spirit is chocolate truffles. I make several different types. My favorite food during the holidays is fudge and divinity. I love reading all these great recipes. I have tried a few and there awesome. Keep up the good work. 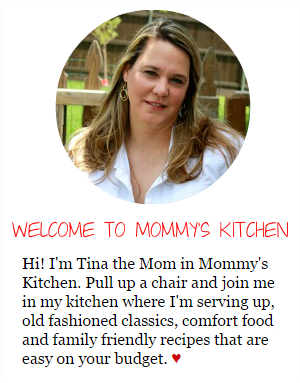 I am now a follower of Mommy's Kitchen! I would have to say the classic sugar cookie, not because it's the best cookie, but it evokes some of the most precious memories for me, decorating the cookies with my now grown children.Baking these we knew Christmas was right around the corner. When I was a child, my uncle would go to the cellar and bring up the Brandied Apricots and I knew Christmas was on it's way. Brandied Apricots wins this hands down!!!! My favorite recipe to get me in the Christmas spirit is my Monkey Bread. Love the smell of cinnamon at Christmas. I am a member of Gooseberry Patch's Circle of Friends.